I think I need to change the Stunning Sunday title, stunning isn’t a word that comes to mind when looking at todays gardening project! I decided it was time to try raising some seeds. There were a few packets kicking around the house and a quick trip to Bunning’s yielded some Echinacea and Cucumbers. We’ve been saving egg cartons for a while and it was a nice feeling to finally put them to use. 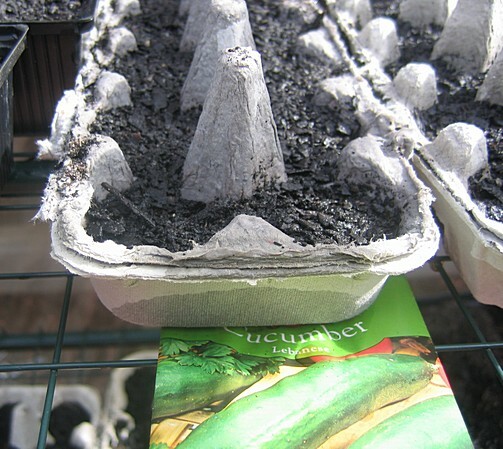 Well, I think its stunning to raise plants from seeds (something I haven’t been brave enough to try yet)! Hope we get to see the seedlings. Hi – great site, would you consider doing a reciprocal link with me? I would promote any page of your choice. I have a number of other sites with PR3 and above. It would greatly help both of us if you are interested. Please email me if you are – my name is Chris Canos – thanks.